First off, huge thank you to Dee from Good Choice Reading for suggestion this book because I absolutely loved it! For this book being 432 pages long, it didn't feel like it at all to me. Once I got a few chapters in, I could not put it down! It's one of those books where it has a little of everything and an ending I was slightly surprised at. 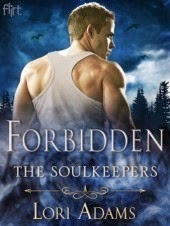 Just loved Forbidden! Sophie made me laugh a lot because she is so stubborn and so suspicious of everything. I really enjoyed following her through this book as she deals with Michael, Dante, her father, and herself. With Michael, I loved him right away and his brothers. Yeah he's quite a grouch to start, but has good reason. He's also gorgeous with his perfect body, blonde locks, and baby blues. You can see that Michael is an all around good guy... then again why wouldn't he be? On the other side, literally, is Dante. 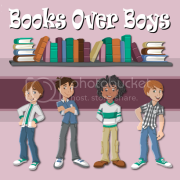 Both boys are hot as hell, and Dante has the dark hair and green eyes (killer for me!). As much as Dante is "bad" I couldn't hate him because everything he does, he does for Sophia. With this book, I actually feel like it is more YA than NA. Maybe in future books it'll seem more NA, though not sure. The reason I say that is because the main character is in high school and there isn't any real raunchy scenes, so don't let the NA classification scare you away. Also, were there similarities to other books, sure, but once I got into this book I couldn't put it down. I loved following Sophia and Michael and that's what ultimately matters to me, a story that you cannot put down and enjoy reading. I also liked the feel of darkness this book kind of has, it helped draw me in. Overall I really enjoyed Forbidden and will be on the look out for the next book!